Fred Gerstell, the former chairman and chief executive at CalMat who later served Vulcan Materials as a vice chairman and a director, died last month. Is an NSSGA merger looming on the horizon? Kevin Yanik, editor in chief of Pit & Quarry magazine, examines the possibility of NSSGA merging with other industry associations. Bartlett, the former Pennsylvania highway secretary, took the National Stone Association to new heights. Longtime Oldcastle executive Mark Towe lent his time and voice to efforts that elevated the greater aggregate industry. Driven to create unity, Eastern Industries exec Kim Snyder lobbied for aggregate associations to have one voice. 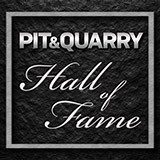 Those preparing to attend ConExpo-Con/Agg 2017 can also make plans to attend the annual Pit & Quarry Hall of Fame Induction Ceremony on March 6. 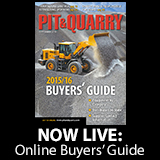 Pit & Quarry announced the 2017 class for the Pit & Quarry Hall of Fame, which includes four industry leaders.